On Wednesday, the Walt Disney Company purchased all of the film and TV assets owned by the historic movie studio 21st Century Fox for $71.3 billion. Along with taking hold of successful film franchises like the Alien movies and Marvel’s X-Men, Disney also now controls the rights to TV shows like The Simpsons, This Is Us, and Modern Family. All told, the entertainment giant has gained thousands of new titles to join its other legendary properties such as Star Wars, Pixar, the Muppets, and Disney’s vault of animated classics. Many of these movies and shows will become available on Disney Plus, the company’s upcoming streaming video service. CEO Robert Iger recently said that this streaming platform as well as the company’s other direct-to-consumer businesses are currently its “No. 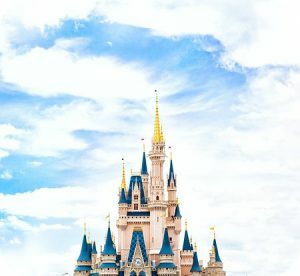 1 priority.” While Disney faces plenty of well-established competition from Netflix and Amazon, the company is banking on its expanded library of content to make an instant impact on consumers. What’s more, Disney increased its stake in the streaming service Hulu to 60 percent when it purchased Fox. Industry insiders claim the company could possibly pursue full control of the platform, keeping Hulu in operation for general programming while family shows and movies go on Disney Plus. Of course, not every former Fox property will fit neatly within Disney’s existing structure. For instance, the company now owns Blue Sky Animation, the studio behind the Ice Age series, to go along with Disney Animation and Pixar. Although Disney said it plans to keep Blue Sky in operation, some experts doubt that it will have much use for a third animation studio in the long run. Meanwhile, the merger has caused thousands of other redundancies that will likely result in layoffs. These dismissals began Thursday as longtime employees made way for Disney to bring in their own people or eliminate old departments entirely. Analysts estimate that about 4,000 people could lose their jobs. (One particularly pessimistic expert claims the layoffs could tally as high as 10,000.) This merger also marks the first time a major movie studio has ceased to exist since the collapse of MGM in the 1980s. While this type of media consolidation is good for some businesses, critics claim that it has a negative effect on workers as well as the quality of art produced in Hollywood. Do you think mega-mergers like the one between Disney and 21st Century Fox are beneficial to consumers? Why or why not? Sources: Todd VanDerWerff, “Here’s What Disney Owns After the Massive Disney/Fox Merger,” Vox, March 20, 2019; Paul Bond and Pamela McClintock, “Layoffs Begin at 20th Century Fox After Disney Deal Closes,” The Hollywood Reporter, March 21, 2019; Mae Anderson, “Disney Closes $71B Deal for Fox Entertainment Assets,” The Washington Post, March 20, 2019.